Holiday Shopping season is really an excited time for both shoppers and retailers, but unfortunately it's a good time for cyber criminals and scammers as well. 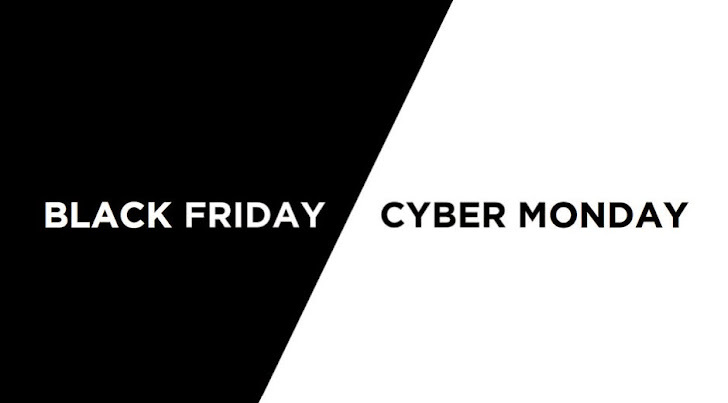 With Black Friday (28th November 2014) and Cyber Monday (1st December 2014) coming up, you need to be more careful while shopping. These are the two very busy shopping days where shoppers spend millions online. Every eye will be on retailers to ensure that consumers' online shopping experiences are straightforward and, most importantly, secure. So, at the major part, retailers need to pay attention to extra security measures in order to prevent themselves from massive data breaches, like Target data breach that occurred last year during the Black Friday sales in which over 40 million Credit & Debit cards were stolen. Not just Target alone, multiple retailers including Neiman Marcus, Michaels Store were also targeted during last Christmas holiday, involving the heist of possibly 110 million Credit-Debit cards, and personal information. So, in an effort to secure yourself from scammers you need to be aware of some top scams and tips to keep yourself safe online. In order to fraud an online account holder's financial information, scammers could pose their website as a legitimate one. Like you got an email from Amazan.com for the hottest deals, and not Amazon, make sure before providing your financial details. Check properly thrice who emails are from and if it's an unknown, best way is to avoid the email and the so-called hottest deal. Always go for a website using an HTTPS URL, before entering a password or any information like address or credit card number. There are thousands of websites that closely resemble legitimate domains like Amazon, Google, Apple, Facebook and Microsoft. Apart from these, there are so many new sites offering online shopping, that it's quite difficult for customers to say which one is legitimate and which is not. Many of these websites host exciting contests or advertisements for dodgy services to gain your attention and force your finger to click it, while others host malware that can infect your system when you browse to these websites. So, to be in safer side, always shop from websites which you or your friends know. Just keep one thing in mind while shopping online that Website ratings and security seals can be faked and the website could look too good to be true, but probably it's not. Phishing scams are typically fraudulent email messages, masquerading as a well known and trustworthy entity in an attempt to gather personal and financial information from victims. However, phishing attacks have become more sophisticated recently. Keep an eye on scams emails claiming to come from legitimate sources which will ask you to visit a website actually hosted by cyber crooks in order to steal your personal information like email addresses, passwords, credit card numbers, expiration date, verification code, and more. Always type website name in Google Search Engine and then visit the particular website from those search results, instead visiting through any link provided in messages or emails. Don't go to websites you've never heard of. A year ago during Black Friday, one of the major scams was the cyber criminals offering $1,000 Best Buy gift cards, which nobody won. But, a lot of people ended up in giving away their personal information for no reason at all. Online users are recommended to avoid such "unexpected gifts" scams, just like your dear ones recommend you to not accept unexpected gifts from strangers. Emails could be a major medium to offer you unwanted gifts, so be careful when opening attachments you receive by email - that special delivery could end up costing you. Customers on holiday season are always on search for great deals, especially on Black Friday and Cyber Monday, but your just a small mistake can lead you to danger. Miscreants use your desires by creating 'click-bait' ads or posting links to 'the best deal ever', which will always lead to either a survey, a scam site or even drive-by exploits. Customers are advised to treat such offers with skepticism, especially when the source is unknown and unfamiliar to you. You are also advised to keep an updated Antivirus software onto their systems, so if any convincing advert does trick you and gain your click, your AV protects you against infection. In addition to fake ads for Best Buy, users also want to look out for fake online coupons in general. If it sounds too good to be true, visit directly to reputable websites, and, by some miracle, the offer is true because it's Black Friday sales, it's all yours.